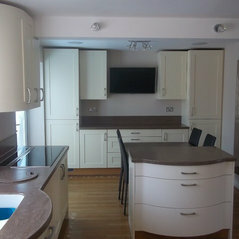 Since 2002 we have been professionally designing and installing kitchens in Essex and the surrounding areas. 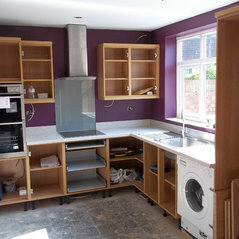 We pride ourselves on only using the very best materials to ensure the best possible results. We focus on providing our customers with an affordable custom made service, which does not compromise the quality whatsoever. When you purchase your kitchen from us we promise three things: Fixed Price Quotes, there's no hidden extras in our prices. No Hard Sell, we leave you to decide at your own leisure. Best Prices, you won't find an equivalent kitchen for less. Why are we so affordable? 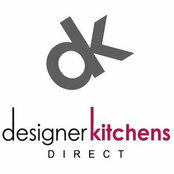 We keep our overheads to a minimum and source our products directly from specialist trade suppliers and manufactures, this allows us to supply your kitchen at up to 40% less than then high street showrooms & DIY stores. All together this means you save money, but still receive the finest quality products. What do we offer? We can carry out everything, from the initial design right through to final installation of the kitchen, including accessories & appliances. 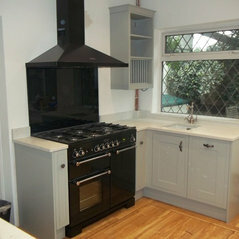 If you are purchasing your kitchen elsewhere, i.e online or from a DIY chain we offer an installation only service, this has proved very popular as we have been known to save clients up to 50% on these charges. 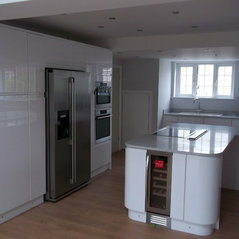 We are also happy to quote for any electrical or building works that you may require. Where are we based? We are based in Rayleigh, and cover all of Essex & surrounding areas such as parts of Kent, Hertfordshire, & London.